NEW YORK (WABC) -- The U.S. Coast Guard came to the rescue of a ferry that broke down in New York Harbor on Tuesday afternoon. At approximately 3:30 p.m., the ferry, The Manhattan, became disabled with 100 people on-board near Governors Island. The boat managed to drop its anchor, but the strong current prevented it from holding. A Coast Guard boat arrived on scene at approximately 4:00 p.m. to assist. 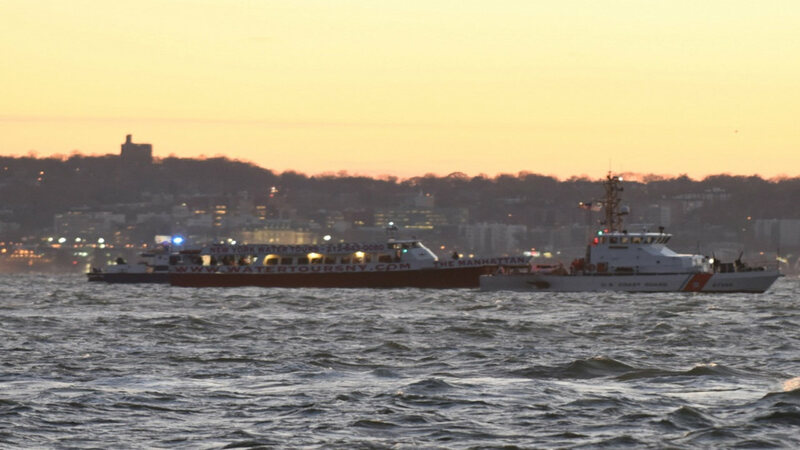 The Coast Guard then proceeded to tow the ferry up the East River to Pier 36, where all 100 passengers disembarked by 6:00 p.m.